By R. Albert Mohler Jr.
A cultural revolution has swept across the West, blurring the lines between reality and fiction. Entire Christian denominations have capitulated to the whims of this revolution and surrendered the fundamental truths of their faith. In this surrender these churches have lost their identity as God’s people. All churches, therefore, must recapture and reinvigorate their zeal for all the doctrines contained in the Apostles’ Creed. Each and every credo encapsulates the very essence and foundation of what the people of God believe—and what they have always believed. In light of this reality, Christians must stand firm and stand together on the essential truths of Scripture. The church fathers understood this fact, which is why they labored so diligently to give the church faithful summaries of Scripture’s teaching, like the Apostles’ Creed. As we examine the creed, consider these seven reasons why the Apostles’ Creed is useful and necessary in the life of the church. 1. Creeds define the truth. Jesus Christ told his disciples, “And you will know the truth, and the truth will set you free” (John 8:32). We must study the creeds of the faith, so long as they rightly espouse the Scriptures, because they outline the truths of our faith. The truth sets the people of God free from sin, corruption, and a world under the despair of sin. The truth ushers in an eternal hope in the glorious splendor of God and his gospel to mankind. As the creeds teach the truth, they espouse a power that sets the captive free. The reality of truth presupposes the existence of error. In the present age, however, we find a generation, perhaps for the first time, that objects to the existence of truth. The church, however, has understood since its founding that heresy and false teaching exist and that these are horrible dangers to the people of God. Indeed, no error presents a greater danger to the church and the world than theological error. Heresy, the denial of a doctrine central to Christianity, departs from the truth and thus has eternal consequences. The church needs the creeds not only to teach the truth but to guard against error. 3. Creeds provide rules and standards for God’s people. The Apostles’ Creed functions as a guardrail for our teaching and instruction. Indeed, the creeds protect teachers from stumbling into error by providing a rule to follow and boundaries for healthy theological discussion and development. 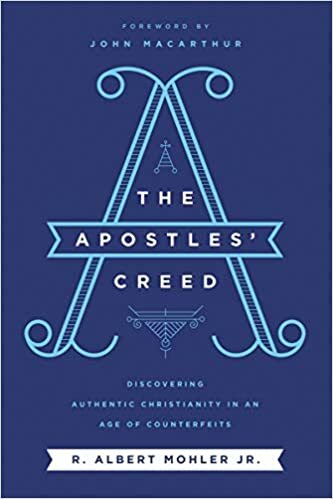 One of the most important functions of the Apostles’ Creed, like all faithful creeds, is that it helps the church to teach and prepare new believers for faithfulness and maturity in the faith of the church. 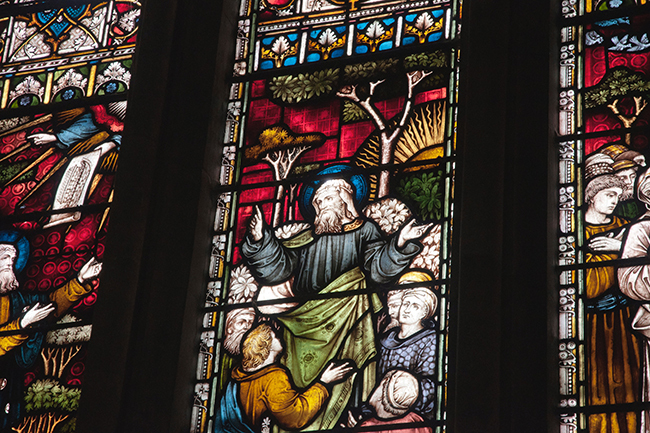 New believers in the early church were often asked to affirm the lines of the Apostles’ Creed, one by one affirming their belief and confession of the true Christian faith. 4. Creeds teach the church how to worship and confess the faith. The Apostles’ Creed delineates the most glorious and splendid truths of the Christian faith. It naturally ushers our souls into heartfelt worship and praise of God. The creeds, therefore, guide the church in worship and contain the most precious truths through which we can worship God and rightly praise his name. In corporate worship, voices converge so that I believe becomes we believe, joining together all believers, both the living and those already with Christ. 5. Creeds connect us to the faith of our fathers. The late historical theologian Jaroslav Pelikan wrote, “Tradition is the living faith of the dead, traditionalism is the dead faith of the living.” Indeed, the annals of church history and the venerable creeds of the faith contain some of the most precious inheritances modern Christians possess. The Apostles’ Creed, more than words on a page, contains the faithful witness of those who have finished the race faithfully. We have a blood-bought relationship with our brothers and sisters who went before us. We joyfully desire to stand in the same faith with them—all the way back to the apostles. 6. Creeds summarize the faith. No creed or statement of faith can replace the Scriptures. As we have seen, however, this does not mean that creeds have no place in the Christian life. Those who would argue for no creed but the Bible have forfeited a great gift in maintaining biblical Christianity. This dubious position fails to understand the heart behind creeds and confessions. These documents do not seek to replace Scripture. Instead, they accurately seek to summarize its content into succinct statements in order to equip Christians with brief yet crucial distillations of the faith. 7. Creeds define true Christian unity. Finally, the affirmations of the Apostles’ Creed weave a fabric that knits all Christians together in the genuine bonds of unity. Statements of faith and the creeds of the church unite believers from all ages to the unchanging truth of God’s revelation. Indeed, the affirmations of these creeds can bridge denominational divides as brothers and sisters from across the globe and throughout all history gather together around the pillars of the faith, the essence of what it means to be Christian. True Christian unity is unity in the truth revealed by Christ, not unity at the expense of truth, as is becoming all too common. The Apostles’ Creed does not confess some lowest-common-denominator form of Christian truth. It boldly confesses the grandeur of authentic Christianity in a series of powerful statements of Christian belief. Now we see why a study of the Apostles’ Creed is not merely interesting but urgently needed. The Apostles’ Creed, this most venerable of creeds, exposits the fundamental core of the Christian faith. It contains within its affirmations spectacular and eternal truths. Indeed, wrapped up in the Apostles’ Creed is nothing less than the unfathomable riches of our God, the surpassing knowledge of Christ, and the true theological identity of Christ’s people. R. ALBERT MOHLER JR. (@albertmohler) is president of Southern Baptist Theological Seminary and is an author, broadcaster, and theologian. Taken from The Apostles’ Creed: Discovering Authentic Christianity in an Age of Counterfeits by R. Albert Mohler Jr. Copyright © 2019 by Fidelitas Corporation, R. Albert Mohler Jr., LLC. Used by permission of Thomas Nelson. www.thomasnelson.com. Thank you for this excellent articulation of the reason why the Church’s historic creeds are so important. Thank you Our Savior Lutheran School, Houston,TX. Missouri Synod. I was given a great Baptist foundation by my family, and an incredible Christian foundation by this excellent school. My (Baptist) grandfather went everywhere showing the old Martin Luther film and the Billy Graham films. Whether you are an individual or an institution, you can keep and advance the faith! Thanks Dr. Mohler, and thanks Dr. McCain.